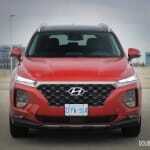 Hyundai has played the game perfectly with their Santa Fe, and as a result has captured a significant share in the explosive SUV market. 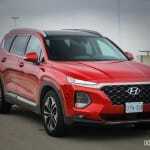 On its inception in 2001 the Santa Fe was a rugged looking, affordable SUV that started making in-roads into what would be the largest trend in the automotive market of this generation. 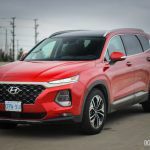 With its place in the market established, the Santa Fe was perfectly positioned to respond to newfound customer demand Santa Fe sales took off, and Hyundai hasn’t looked back. 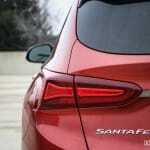 Now entering its fourth generation the Santa Fe has been continually refined over the years, and has done a good job of being competitive; a fact that its solid sales can attest to. 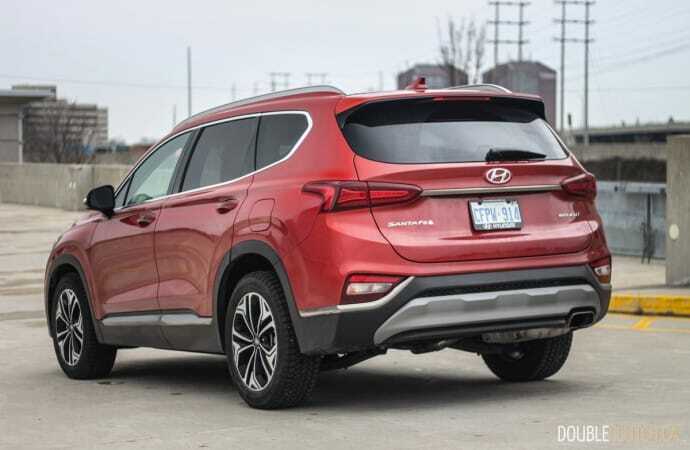 While the standard two-row Santa Fe gets a total redesign for 2019, the larger third-row Santa Fe XL soldiers on unchanged for one more model year, getting replaced by the upcoming 2020 Hyundai Palisade. 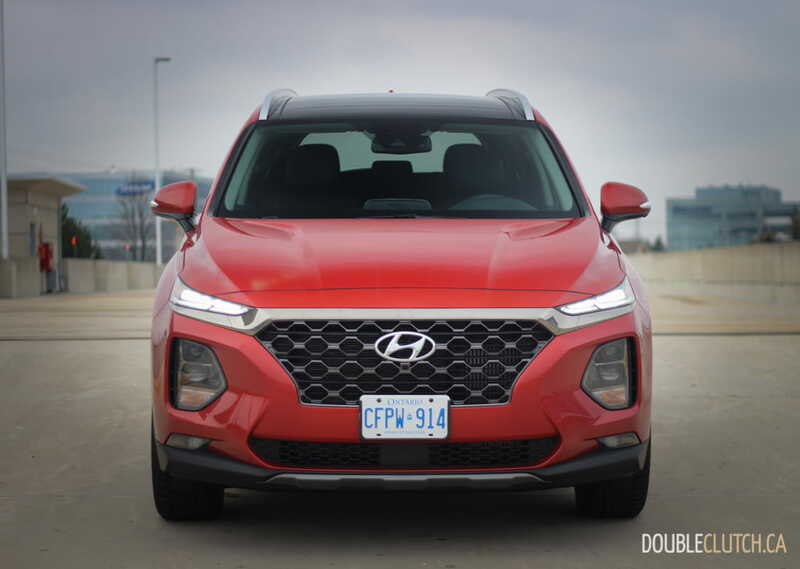 We spent a week with the all-new 2019 Hyundai Santa Fe 2.0T Ultimate – the top tier trim – to see if Hyundai is ready to defend their share against aggressive competition. 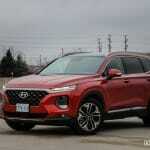 The all new Santa Fe does take a significant styling departure from its lineage with new and edgy embodiment of the Hyundai corporate style. 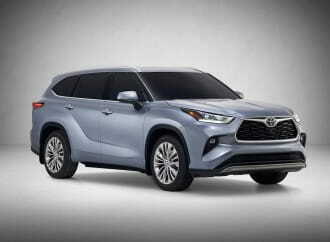 The large shield-style grille, prominent LED lighting, and strong crease running along the tall belt-line all contribute to bringing the style more in line with more upscale competitors, but are a departure from the SUV’s traditionally conservative style. 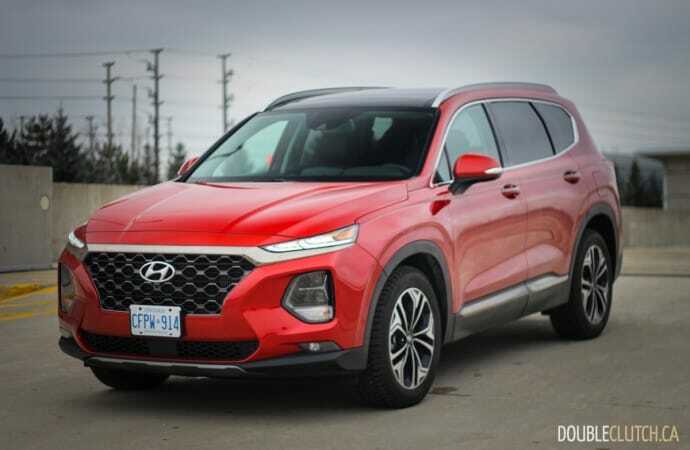 Personally, I remain fond of the outgoing generation from an appearance perspective, but the market will likely respond well to this redesign. My opinions could be clouded by the fact that our tester came finished in Lava Orange, certainly not the most conservative color in the offering. 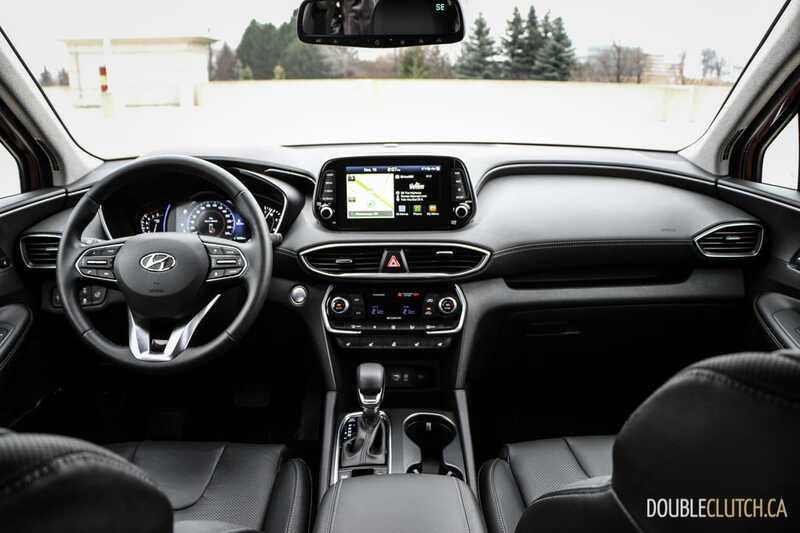 On the inside the Santa Fe is more subdued with lots of black soft touch plastics, and a cleanly laid out dashboard with most controls easy at hand. 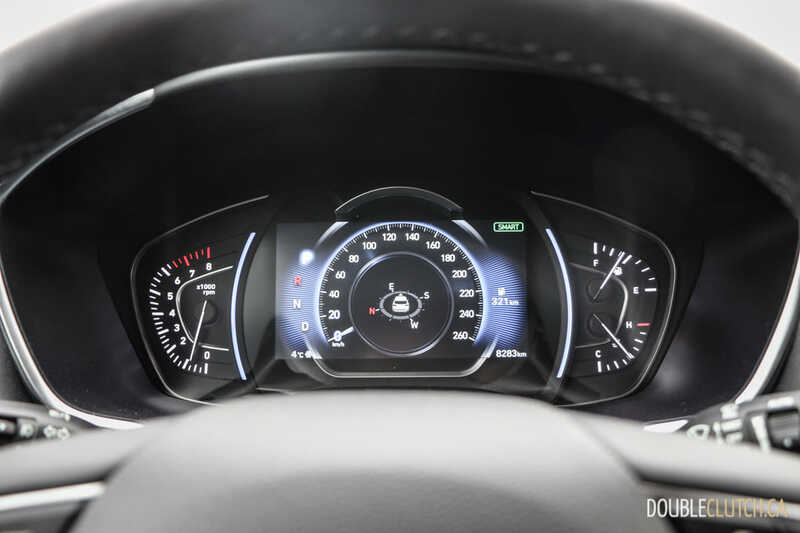 The infotainment touchscreen dominates the dash and looks slightly out of place sitting up in the center of the otherwise smooth dash, but the graphics are crisp and its functionality is simple and intuitive. 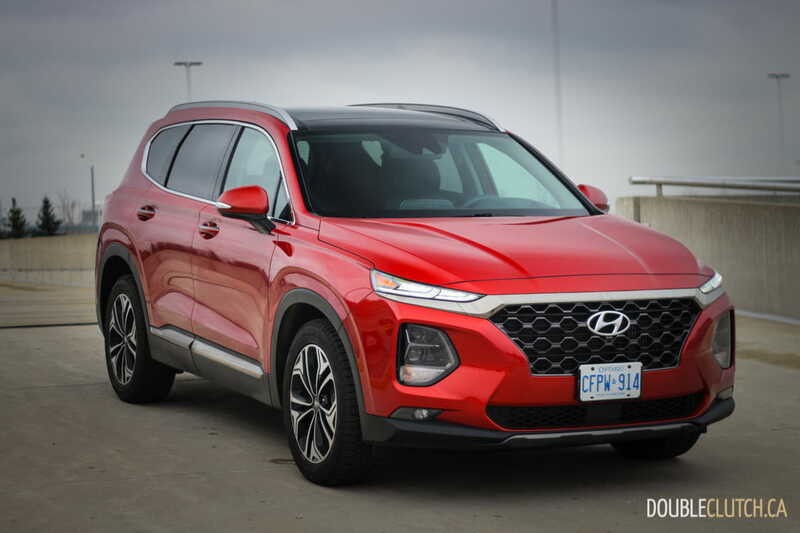 In Ultimate trim, our tester came with everything the Santa Fe’s interior had to offer, including heated and cooled leather seats, heated leather wrapped steering wheel, a huge panoramic sunroof and heads-up display. The panoramic roof is a great option to have in a family vehicle like this and opening up the power shade really brightens up the otherwise dark interior. 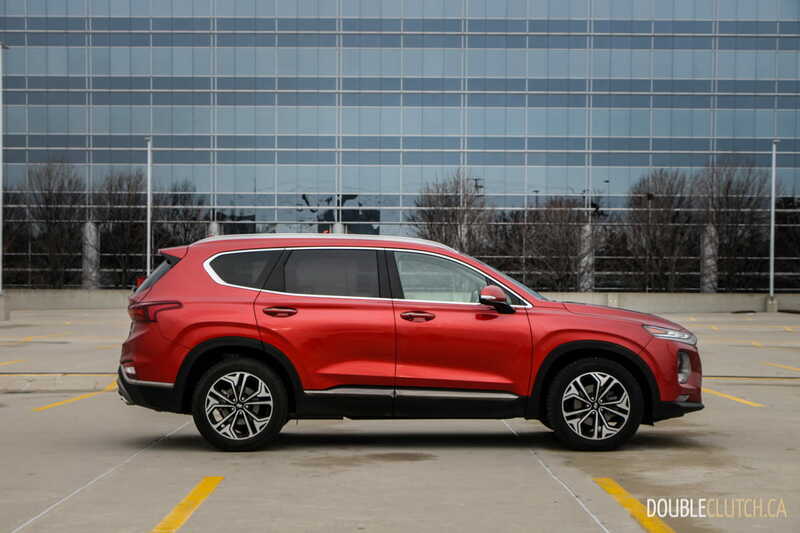 The leather is also a nice option to have for easy clean-ups, but admittedly the quality of leather found in the Santa Fe isn’t exactly luxurious, and I did find the front seats a bit uncomfortable on longer rides. One touch I really did appreciate is a new headliner material; a light grey fabric with a bit of a coarser weave. Of course, like any good family SUV, the interior is centered on functionality, and that’s where this latest Santa Fe really delivers. 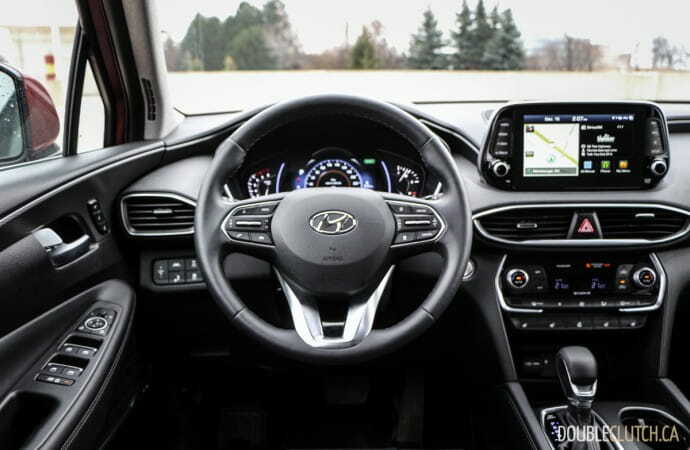 The new center console is very well designed with a small gear selector to allow for a large storage bin at the front, with wireless charging capabilities (in the Ultimate trim), two big cup holders, drive control buttons, a smaller storage bin towards the back, and more storage below the armrest. 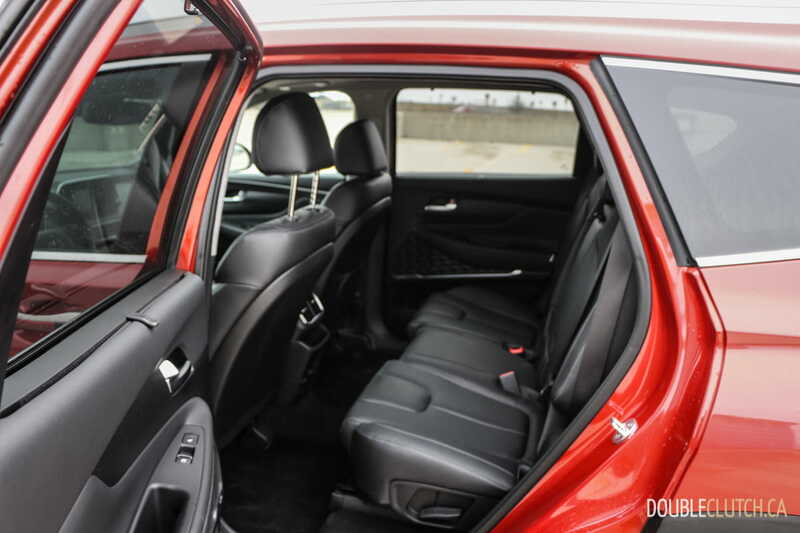 The second row is all about passenger comfort with sliding and reclining rear seats and acres of room. 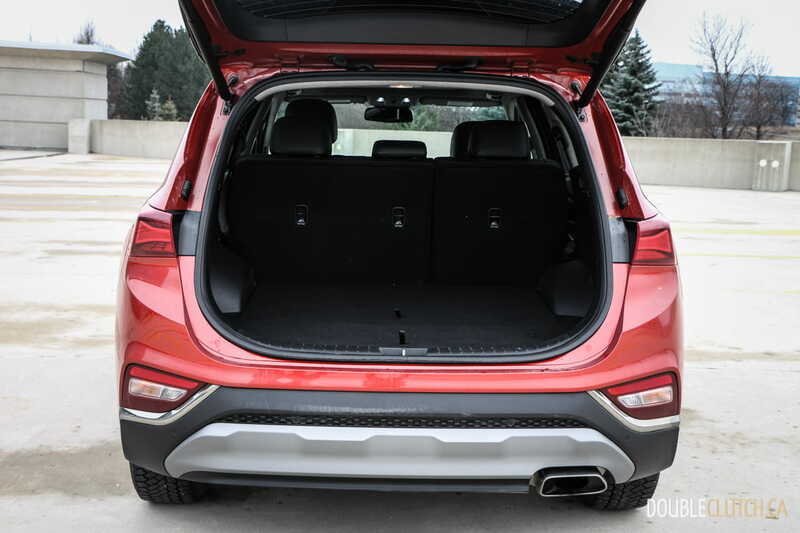 There is no third row, but there is a large cargo area with a power rear hatch and folding the second row flat reveals a large loading area. 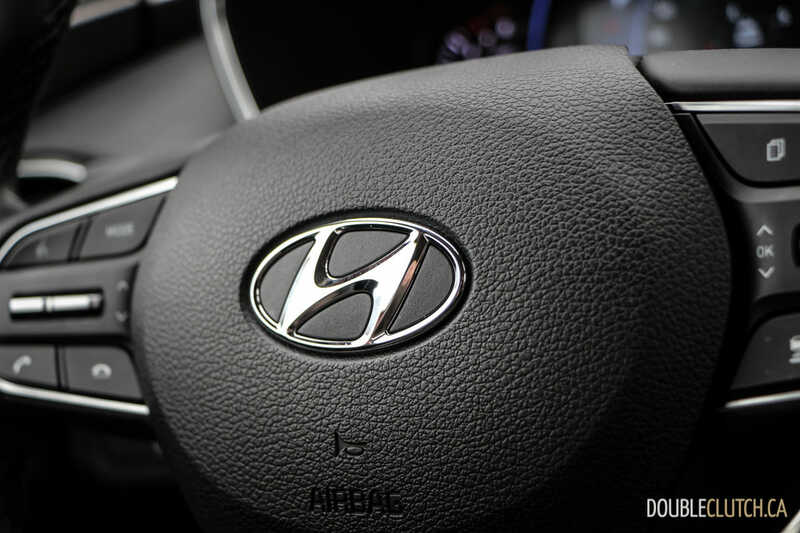 While the spacious and airy interior in the Santa Fe might not be up to German levels of refinement or quality, it is drastically improved overall against the outgoing model, with nicer materials, improved overall finish and another big step forward in general refinement. Power for the new Santa Fe comes from a choice of either a 2.4L naturally aspirated four-cylinder good for 185 horsepower, or the much more inspiring 2.0L turbocharged four making 235 horsepower and an impressive 260 lb-ft. of torque at 1,450RPM. 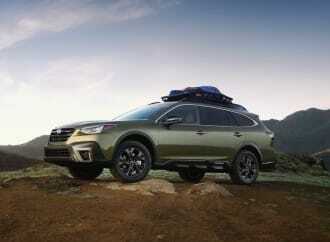 Base models are available with a front-wheel drive chassis, but the bulk of the sales here in Canada will likely be on the HTRAC AWD setup. 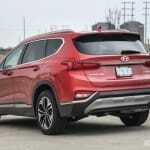 All options utilize an eight-speed automatic that is quick and eager to respond to just about anything asked of it. 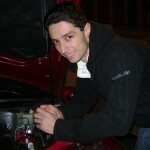 Happily, our Ultimate trim tester came with the more powerful 2.0L motor and as a result is quite peppy in just about any situation. 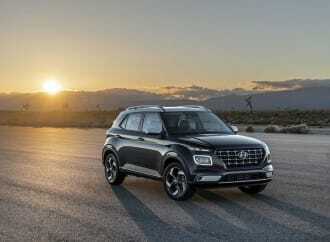 Highway passing is surprisingly effortless, a trait not common with four-cylinder SUVs, and throttle response for quick city maneuvers is also brisk with smooth power delivery. The 2.0L feels like a perfect match for the Santa Fe’s size and weight, offering the right balance between efficiency, power and capability. 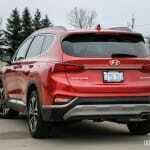 Buyers will need to opt for the 2.0L to unlock the Santa Fe’s 3,500 pound tow rating. 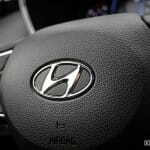 Speaking of efficiency the Santa Fe impresses here as well delivering a weekly average of 10.7L/100km on rush hour commuting in and out of the city. In this mid-size SUV segment representing a mix of turbocharged four-cylinders and natural aspirated V6s, I do believe this is the best overall consumption we have observed; not withstanding the fact that we’re in December and temperatures are not exactly favourable. 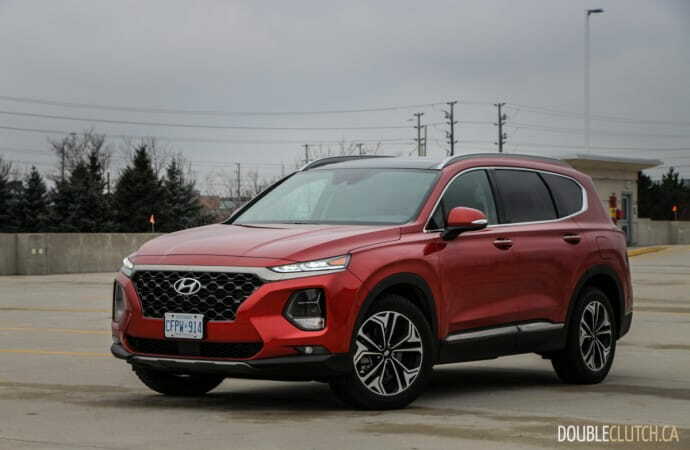 While the engine and transmission feel top notch in this new Santa Fe, the steering and suspension still lack refinement in significant ways. 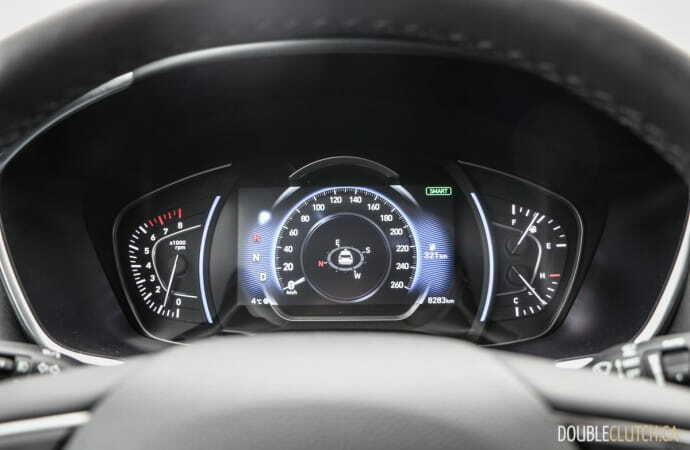 The steering is very light and direct but has absolutely no road feel or sense of connection to the road, to a point where it can be difficult to get a confident handle on how much grip you have under your front wheels. The suspension feels good on the highway; smooth and well mannered. In the city it is easily upset by ruts and other bumps, not doing as good a job at isolating passengers from jarring. 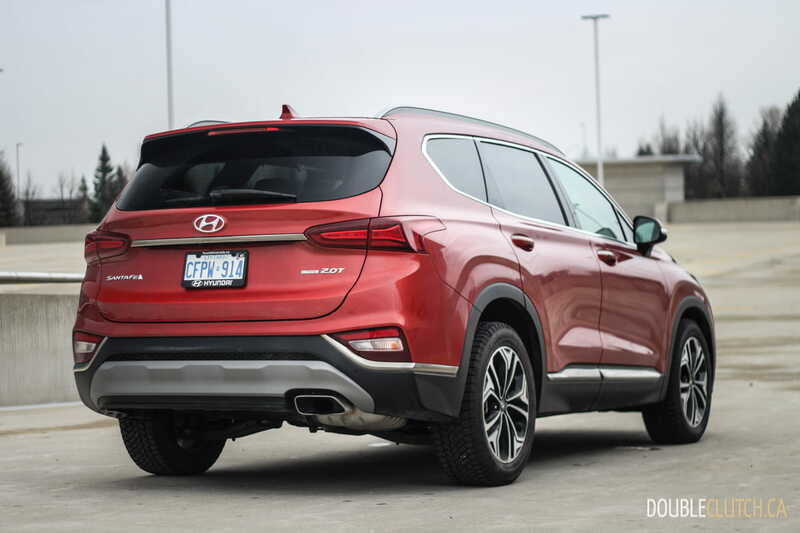 Road noise is fairly well mitigated, with the only notable intrusion being tire noise from the aggressive winter tires fitted on our tester. Speaking of winter tires, we did get a blast of winter during the test week in the form of some wet snow followed by a temperature drop that made many of the secondary roads extremely slippery. 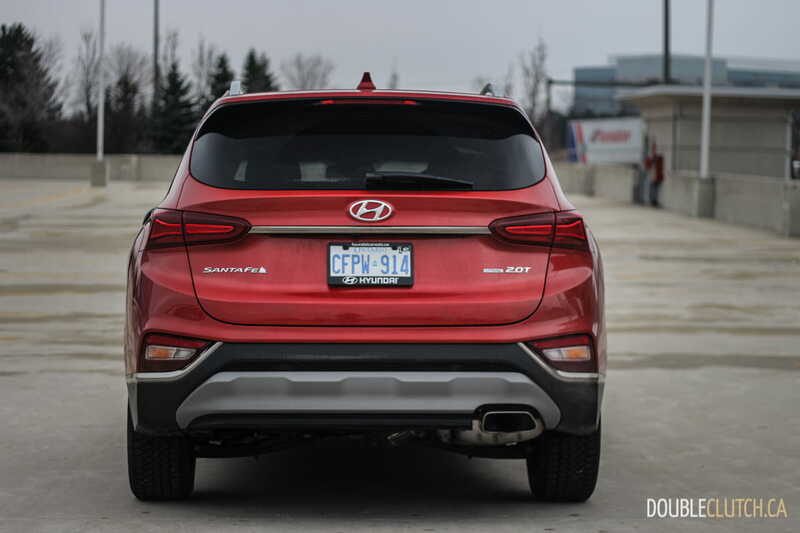 The Santa Fe held traction very well, and while cornering on slippery surfaces I could actually feel the HTRAC AWD system shifting power to the wheels that needed it to keep tracking where I pointed it. 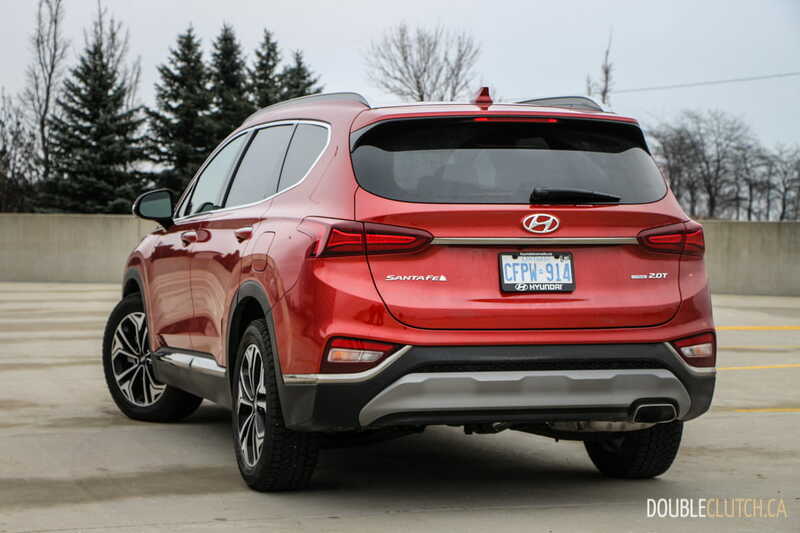 An all-wheel-drive Santa Fe with a good set of winter tires will confidently get just about any family through winter’s worst here in Ontario. Pricing on the new Santa Fe starts at a very aggressive sounding $28,999 for a 2.4L FWD model, and at that price you’ll still get some nice features like a seven-inch touchscreen with Android Auto and Apple CarPlay, heated front seats and steering wheel and tasteful 17” alloys. 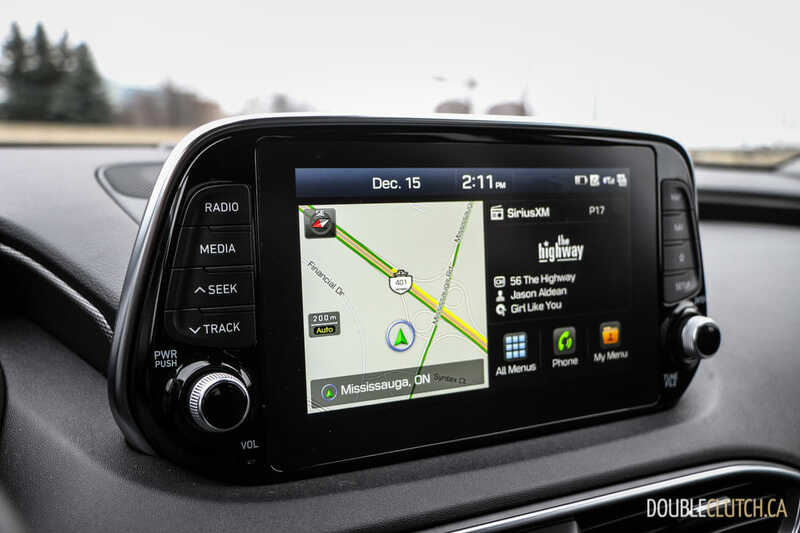 Stepping up to AWD puts the price at $32,199 and includes the Smart Essentials package which includes the full suite of all the latest safety and driving aids such as adaptive cruise control, forward collision warning, lane keep assist and driver attention warning systems. From there, getting into the more powerful 2.0L, steps it up to $37,099 and includes some other nice features like dual zone climate control and proximity key functionality. 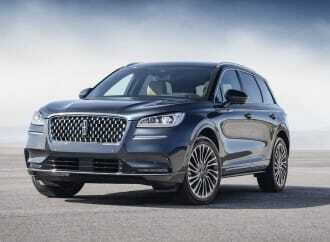 Stepping up to the Luxury trim with leather, surround view monitor and proximity activated rear hatch will set buyers back $41,899, and finally the Ultimate like our tester runs a fairly steep $44,999 and includes some luxuries like the larger eight-inch touchscreen, heads-up-display, rain sensing wipers and a wireless charging pad. 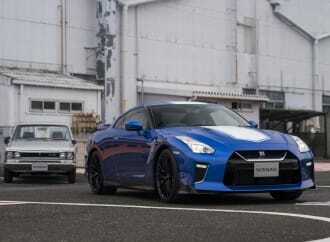 Our tester also got a $150 paint option, bringing the as-tested price to $45,149. 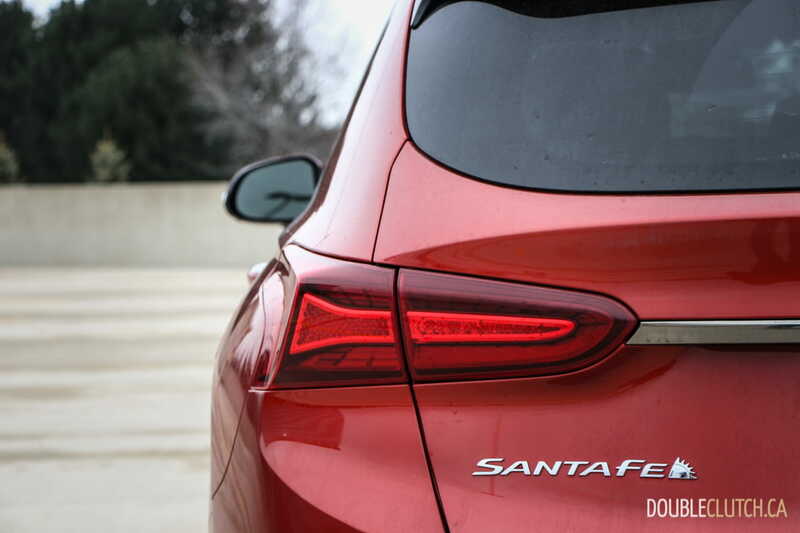 A Santa Fe with pricing north of $45,000 feels like a bit of a stretch, especially from a starting price under $30,000. 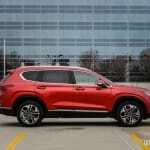 That said, if you’re willing to live without just a handful of the gadgets, you can get yourself into an extremely well-equipped SUV at a very reasonable cost. 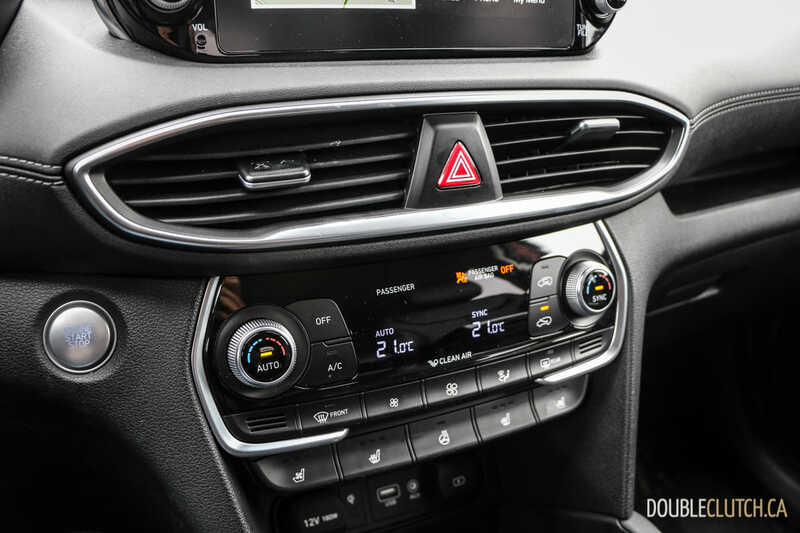 The 2.0L AWD Preferred package would likely be my choice at $37,099, or $38,599 with the panoramic roof, since I could easily live without the leather and handful of other electronics. 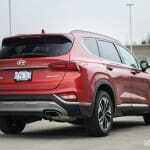 From a family hauling perspective, the new Hyundai Santa Fe and its highly functional interior has clearly been designed with families in mind. 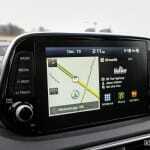 It therefore does everything you’d need it to and delivers many more features than you’d expect at its price point. 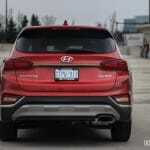 The 2.0L turbocharged engine is pretty fantastic, and in combination with the HTRAC AWD makes for a capable crossover. 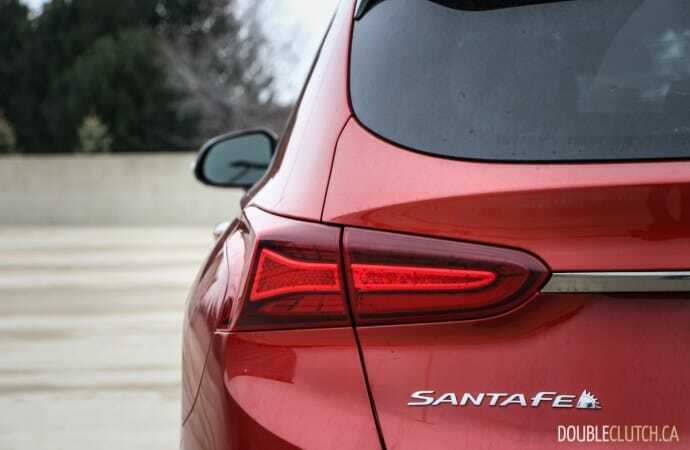 These traits are really where all the weight is placed, so any shortcomings are quickly forgiven, making the Santa Fe one of 2019’s top picks in its class.